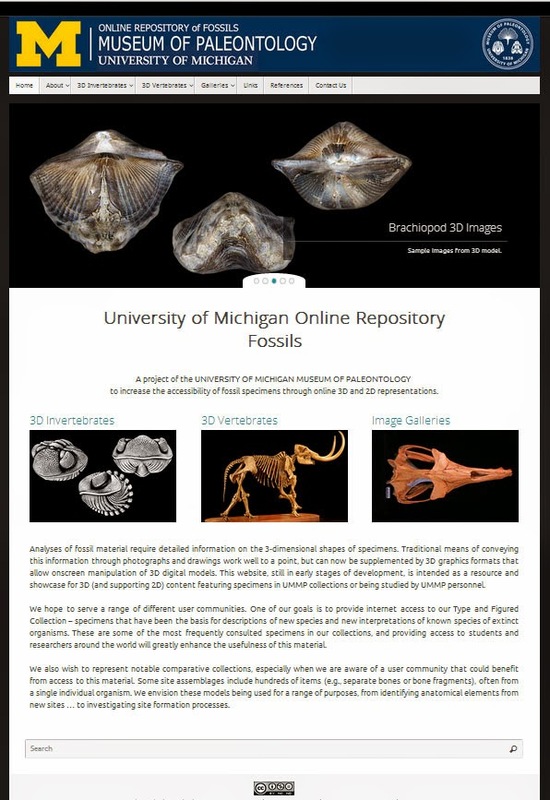 The Online Repository of Fossils Museum of Paleontology at the University of Michigan has a GREAT 3D fossil web site. It can be found at https://umorf.ummp.lsa.umich.edu/wp/ The image below shows a Spinocyrtia mourantae Devonian Period brachiopod. Once on the web site the image can be rotated on all three axis and magnified. You can also use the S and E keys to display measurements across the specimen. It is a very nice interface. If you look in the About section of the web site under credits it took quite a lot of people to create this very nice web site. 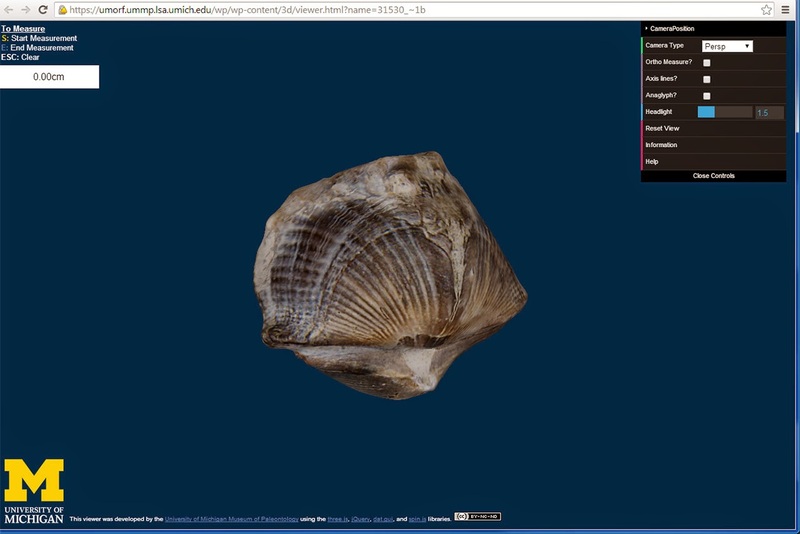 Their site contains images of 3D invertebrates (phylums: brachiopoda, mollusca, arthropoda, and echinodermata), 3D vertebrates (proboscidea), and a 2D gallery. I look forward to seeing more of their work and specimens from this museum (over 2,000,000 invertebrate fossils).